My city has gone mad. Not just within the confines of Pittsburgh, but a sizable portion of Pennsylvania. A city in the county south of us didn't want a state of confusion with the home of the Seattle Seahawks, so by a unanimous vote of the city council changed its name from Washington to Steeler (and do check the link for the new portrait of George Washington). Not to be outdone, Greensburg, to the east, showed its true colors by renaming itself Black and Goldsburg. We are awash in black and gold. Those are the colors of the Super-Bowl-bound Steelers (or "Stillers," in the local lingo, as in "hahbahtdem Stillers?") 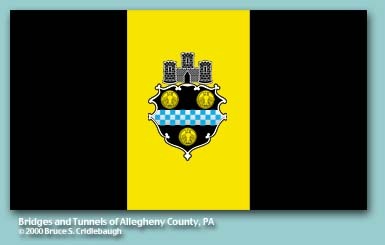 because they are the colors of the City of Pittsburgh because they were the colors of William Pitt, the Earl of Chatham, for whom this burgh was named in 1794. It really wasn't for the marketing possibilities. It's a neat color combination, but hard to do up in lights (black lights, anyone?) and baked goods. Yes, local and chain bakeries alike have black-and-gold cookies, cakes, pies, even bagels (I don't want to know), though I did have to admire the bread sculptures done in Steeler helmets and logos. And there are more tschotchkes than ever: black and gold feather boas, Troy Polamalu wigs, light-up Steeler pins. Fans paint their faces (gold-glitter eyeliner is a must) and hair (yes, I've seen dyed black hair with gold tips), or just don little face stickers. Radio stations are filling their playlists with Steeler songs like these and these (my favorite is from the Corned Beef and Curry Band; we have lots of Steeler polkas, but I'm waiting for a Steeler bhangra). I don't remember this level of frenzy over previous Super Bowls, and I have reason to remember. I was an editor and writer for a local sports newspaper during the "City of Champions" '70s (remember Frenchy Fuqua's shoes?). Maybe local fans were more lackadaisical then because we were used to winning -- baseball pennants and World Series, college football and even tennis championships, not to mention those four Super Bowls. But stores didn't close early like they are this year, nor were entire streets shut down for partying. Even theaters are closing for the main event. Yes, I'm getting sucked in, too. I like Seattle. It's one of my favorite cities, and not just because my best friend from childhood has lived there most of her life. But I'll be rooting for the Stillers. I have a bet riding on this, and if they don't win, I have to figure out how to ship a pound of Isaly's chipped ham to Seattle.